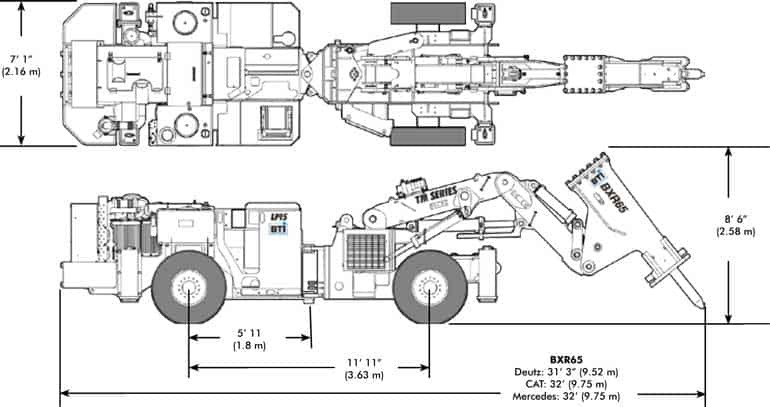 BTI’s TM Series of Mobile Rockbreaker is a heavy duty, low profile vehicle specifically designed for breaking oversize in underground applications. Optimum Breaker Performance is achieved with the four hydraulic stabilizers, capable of levelling the machine on any ground condition. When supported on the four stabilizers the full weight of the machine is available for raking and breaking operations independent of ground conditions. 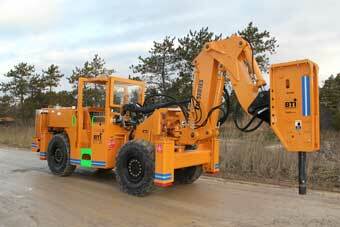 The stabilizers also eliminate the oscillation of the engine end axle for excellent machine stability during boom and breaker operation. 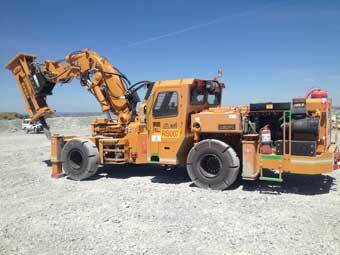 Normal operation of the Rockbreaker imposes side and torsional loading of the boom assembly when the machine is used to rake and manipulate oversize. The Breaker Boom has been specifically designed with an integral sub-frame to provide additional rigidity and strength to the base carrier frame. Boom sections are fabricated from high strength carbon steel with reinforced ends. Massive swing post is mounted on self-aligning bushings. Pivot pins are oversize alloy steel with replaceable hardened steel bushings. 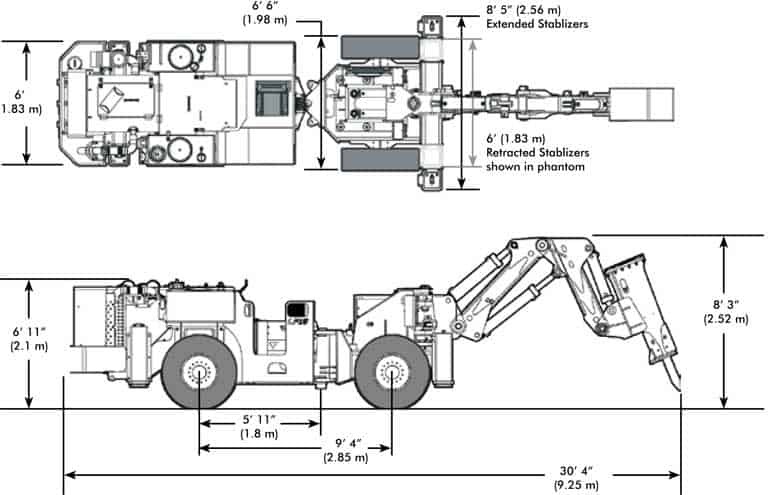 All hydraulic boom cylinders are equipped with oversize rods and self-aligning bushings at each end to prevent side loading of the cylinders during raking and breaking operations.